A Third of America's Bee Colonies Died Last Year and That's 'Good News'? 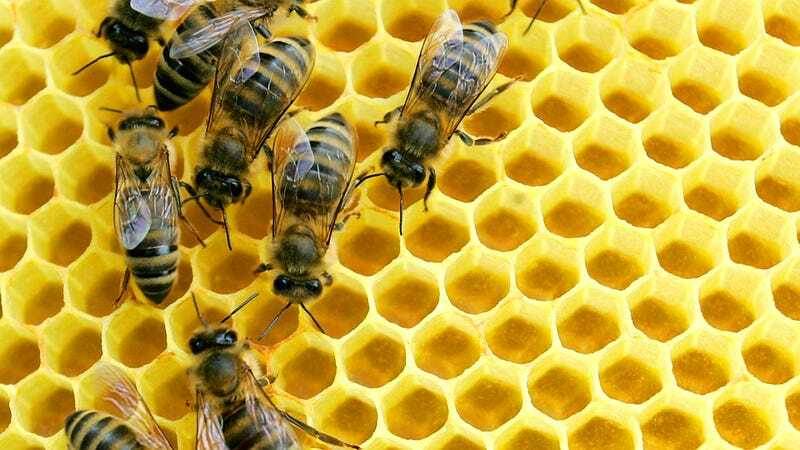 You know bees are having a rough time when a survey finds that professional beekeepers lost 33.2 percent of their colonies this year and that statistic is considered a significant improvement over the previous decade. Bee populations around the world have been in decline for years due to a number of reasons that make it extremely difficult to fix the problem. Urban development, insecticides, fungicides, illness, climate change, and many other factors have been determined to be responsible for the decline in bee populations. This week, the nonprofit Bee Informed Partnership and the Apiary Inspectors of America published their annual survey of 4,963 beekeepers in the United States and it seems that we still have a problem. But it was a slightly better year for our vital pollinating friends. The US government has an official goal of getting the winter bee colony losses down to 15 percent annually. This year’s winter losses of 21 percent were the lowest since the survey began in 2006.
because they carry the deformed wing virus. And unfortunately, every time some sort of progress seems to be made in stopping one issue afflicting the bees, another threat is discovered.